Seattle shines for countless reasons, but two of the biggest reasons to fall in love with this place? The surrounding mountains and the omnipresent water. No doubt about it, everything's better when done on the edge of a sparkling lake or beside a tranquil bay. 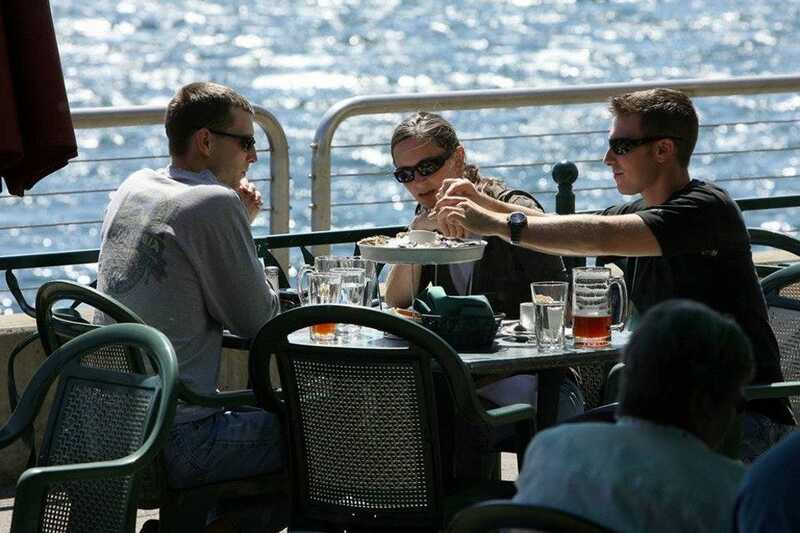 Seattle's waterways abound and, thankfully, so do its waterside eateries. Waterside restaurants dole out fresh seafood and seasonal fare, plus stunning views that can't be beat. Some venues have become a Seattle institution over the years, like The Edgewater Hotel, where Six Seven now serves some of the city's most delicious dishes–and views. Thanks to many of these venues' picture-perfect locations near the downtown piers, passengers on ferries and cruise ships (like the brand-new Norwegian Bliss!) can easily indulge in a seafood feast before or after boarding their vessel. On the north shore of Lake Union, not far from Husky Stadium, Ivar's Salmon House features a stunning cedar replica of a Northwest Native American longhouse, complete with an open-pit Native American-style barbecue for preparing alder-smoked dishes. Highlights here include a welcoming, waterside setting filled with Northwest native art, décor and historical photographs, plus a patio offering spectacular views of boats cruising Lake Union and Seattle's skyline. Fare served includes alder-smoked salmon, prawns, alder-smoked chicken and seasonal seafood specials, and folks love the great happy hour steals as well as the beloved family tradition of Sunday brunch. 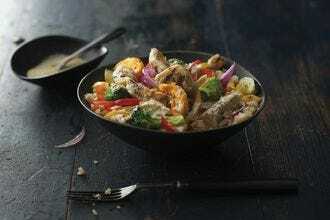 The outdoor Fish Bar offers casual lakeside dining or quick take-out food. 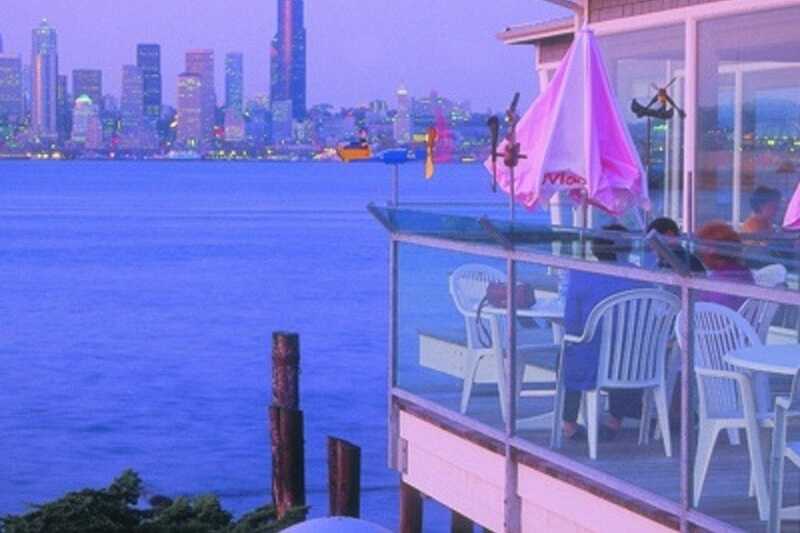 The view of the skyline is spectacular at this West Seattle hot spot, not far from Alki beach. The picture window offers a postcard-like vista. The only thing that may distract you from the scenery is Sunday brunch, regularly voted tops by Seattle's citizens in local publications. 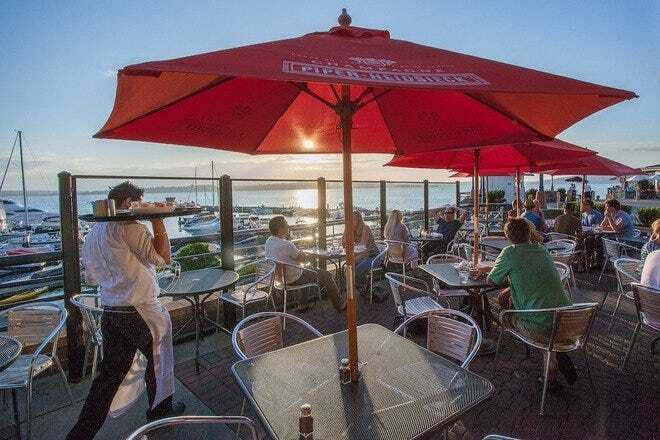 Sit on the breezy wrap-around deck or the patio, and enjoy a massive array of options, including delectable homemade cinnamon rolls, muffins, scones, sausage, eggs benedict, crab, salmon, fruit, pizzas, salads, omelets, cakes, pies and so on. 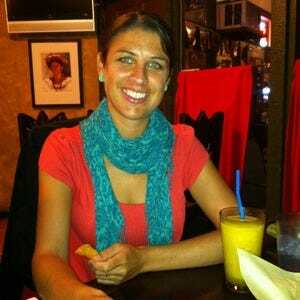 Salty's also provides complimentary limo service from most downtown hotels. Ask your hotel concierge for more information. True to its handle, this waterfront establishment serves views of bustling Elliott Bay along with its oysters--more than 30 varieties. From the outside, Elliott's looks like little more than a shack, but the interior is cozy enough to accommodate lots of folks, especially if a laid-back, casual meal is on the slate. If you're on your own, sidle up to the 21-foot oyster bar for convivial dining. Menu highlights include the aforementioned oysters (prepared just about any way imaginable), crab, lobster and more. 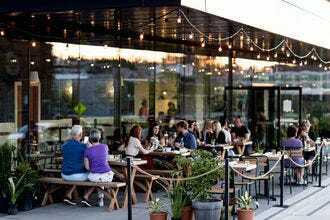 The venue also boasts an excellent wine list, local brews and a highly desirable happy hour menu. 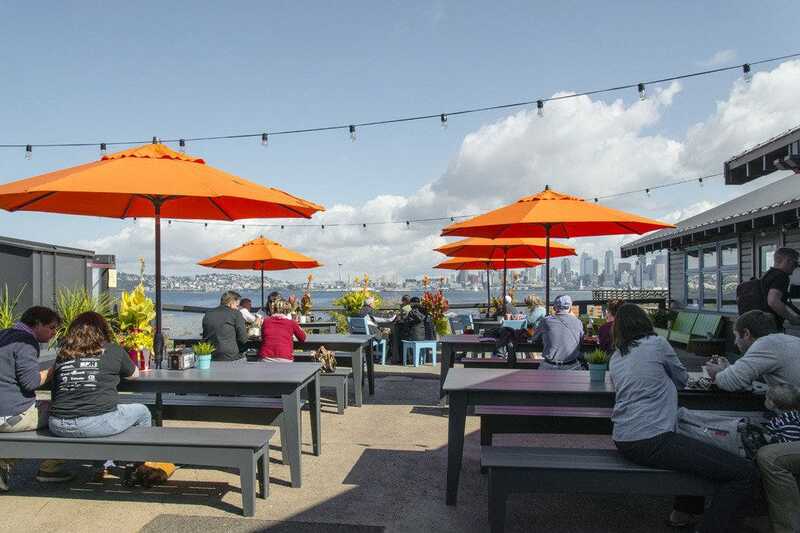 In West Seattle, Marination Ma Kai brings the delectable flavors and happy vibes of Hawaii to a stunning beachside setting (near Alki). The venue's Hawaiian-Korean cuisine "melts delicate heat and the flavors of aloha together in [diners'] mouths," while the expansive patio offers to-die-for skyline and water views. As the owners put it, "it started with a truck, some exquisite marinades and a lotta love," and now, more than one million tacos and five years later, Marination has expanded to three separate venues and "one big aloha family." Loyal fans rave about the Kimchi Fried Rice Bowl, spicy pork tacos, award-winning Pork Katsu Sandwich, the boozy shave ice bowls, hibiscus-tinged cocktails, the special tangy "NUNYA" sauce and so much more. At Marination, life is good! 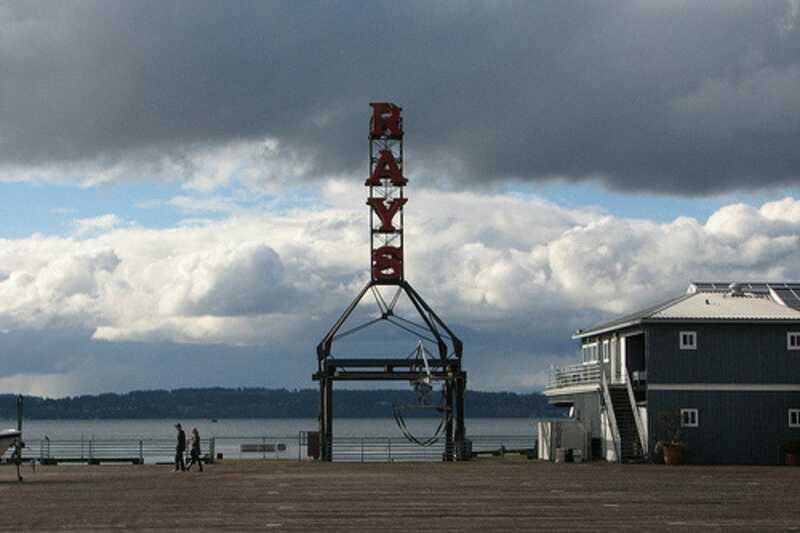 A quintessential Seattle experience consists of having a meal at Ray's. Views of the mountains and the water, especially in sunset's glow, thrill diners almost as much as the cuisine. 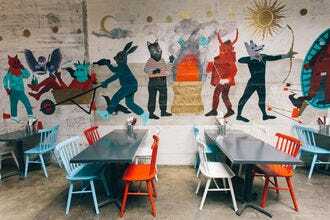 Located close to Golden Gardens, this venue makes the perfect dining spot after a wind-swept or sun-tinged day at the beach. While many dishes have Asian flair (like pan-seared scallops in green curry or kasu-marinated black cod), others revel in simple preparations, like oysters on the half-shell, crab cakes and grilled wild salmon. 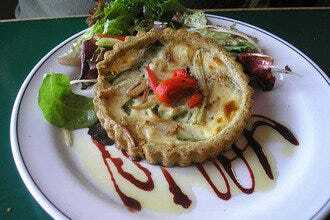 The downstairs venue offers upscale dining; the cafe upstairs is a bit more casual. A wonderful wine list ensures that you'll have a terrific vintage to complement the food. 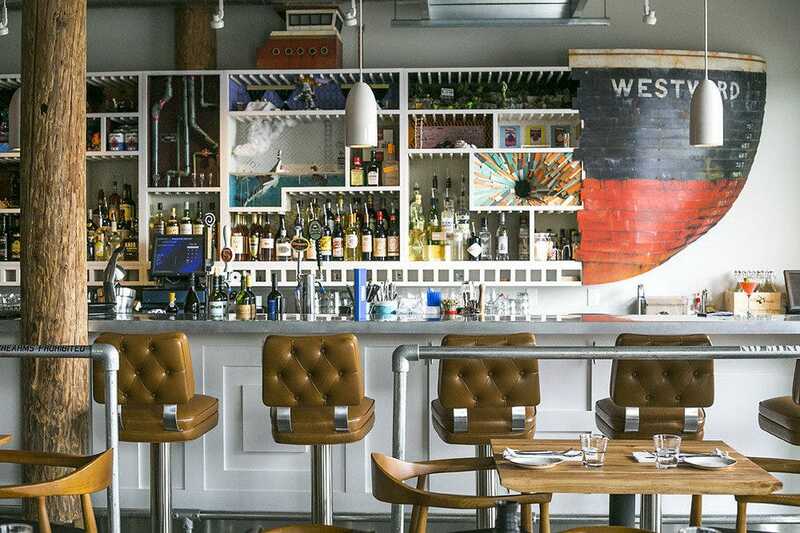 One of the city's favorite warm weather "hot spots," Westward is a water-inspired, full-service restaurant and bar that first opened its sails in the fall of 2013 on the north shore of Lake Union. 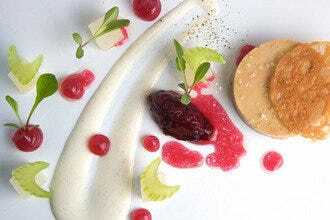 Chef Zoi Antonitsas sends out delectable, innovative dishes that balance contemporary Northwest and Mediterranean flavors with an approach called "natural and continually evolving, reflecting the simplicity of great products, fresh ingredients and the changing seasons." 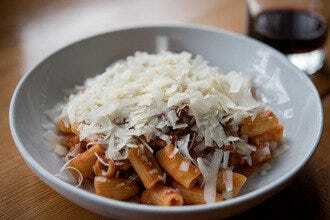 A wood-burning oven anchors the kitchen, and each seat in the restaurant boasts stunning views of the lake and cityscape. Outside, a large deck, fire pit and beach area provide the ideal vantage point for sipping cocktails in the warmer months or for snuggling under wool blankets (provided by the venue) in the winter. 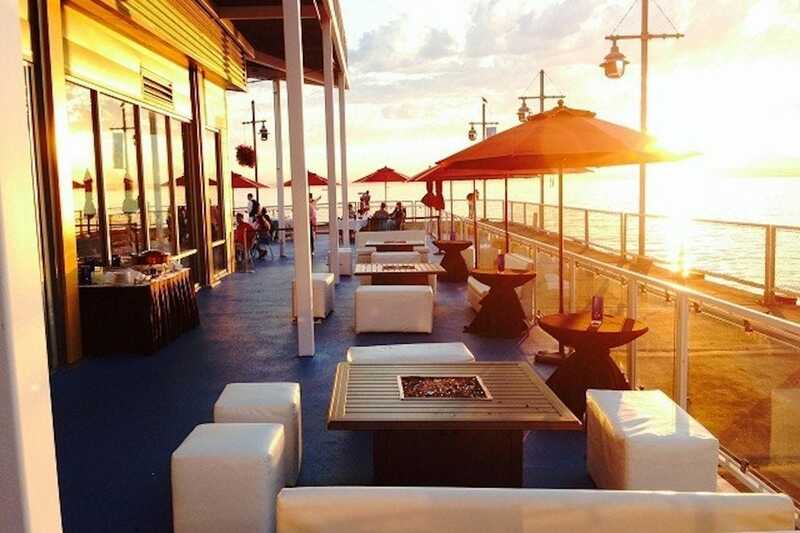 A 150-foot dock provides boat parking or a place to tie up kayaks while enjoying plates of oysters or creative cocktails. At Aqua by El Gaucho, bright, open spaces with sculptural lighting and barrel-backed chairs invites guests to check out great views and a wonderful, seafood-based menu. Although options change depending on what's fresh, you may find oven-roasted Manila clams to start or Northwest oysters served with grapefruit tequila sorbet. 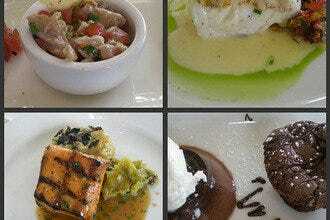 Main courses include lobster risotto, Thai seafood stew and sesame-seared sea bass. 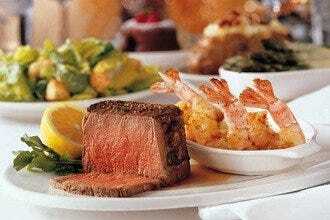 If you prefer meat, there's rack of lamb, pork tenderloin and grilled steaks. Vegetarians are pleased by plank-roasted vegetables, and desserts are eminently rich and satisfying no matter what you choose. 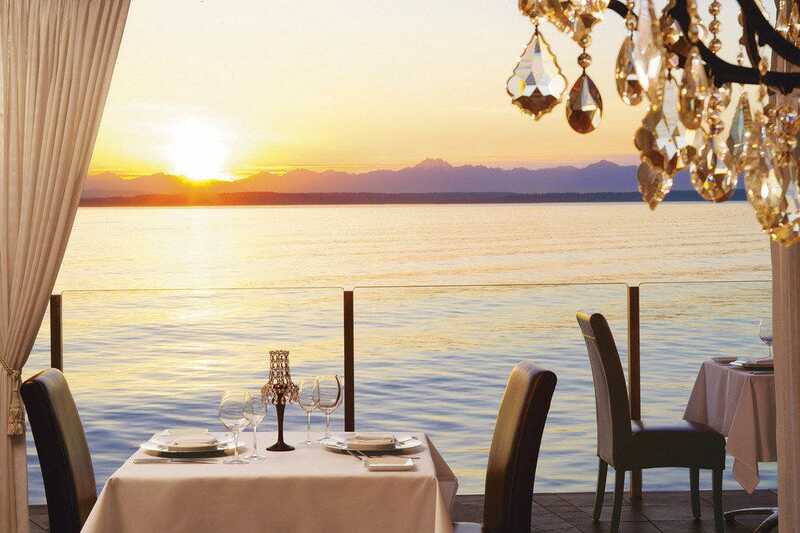 Live piano music is a treat nightly from 5 p.m..
As Seattle's only true waterfront hotel, The Edgewater Hotel dazzles with its picture-perfect location overlooking Elliot Bay and the Olympic Mountains. 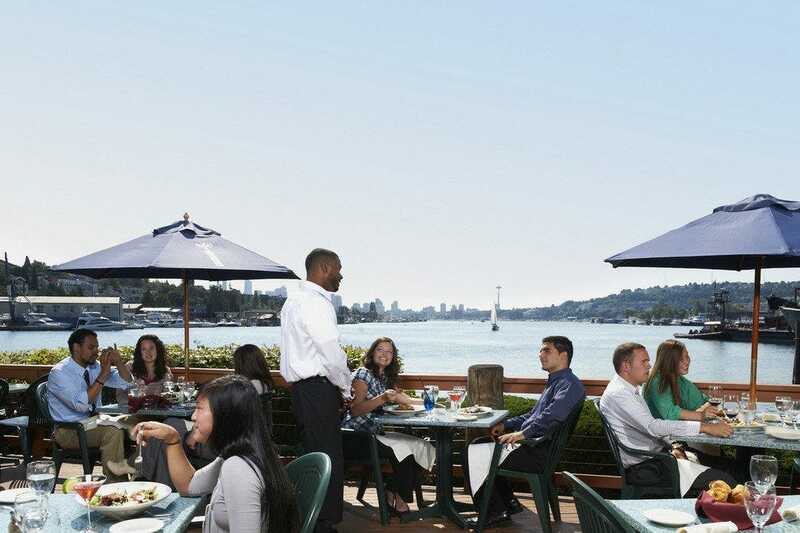 At this rustic-meets-modern lodge where roughly half of the hotel's 223 rooms offer stunning Bay views (the remainder face the iconic Seattle skyline), guests enjoy the Pacific Northwest-inspired decor and spectacular on-site dining at Six Seven, where patrons savor scrumptious fare inside or out. Aside from sensational panoramic views in the light-filled dining room, Six Seven visitors find teal booths, funky wood panel walls, subtly elegant chandeliers, a central stone fireplace and faux-industrial tree fixtures that bring a whimsical bent to a classy space. 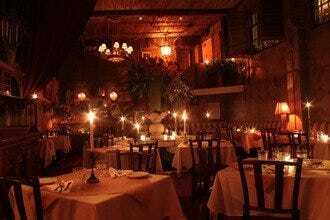 Savor outstanding options like "Roast Penn Cove Mussels," breading-less crab cakes, cedar plank salmon and, a must-try, the gorgonzola-crusted filet mignon, adorned with forager mushroom ragout, asparagus, potato crisp and natural jus.